Thrills by the Bay: Gold Striker riders....You think you can quiet it down some?!? Gold Striker riders....You think you can quiet it down some?!? 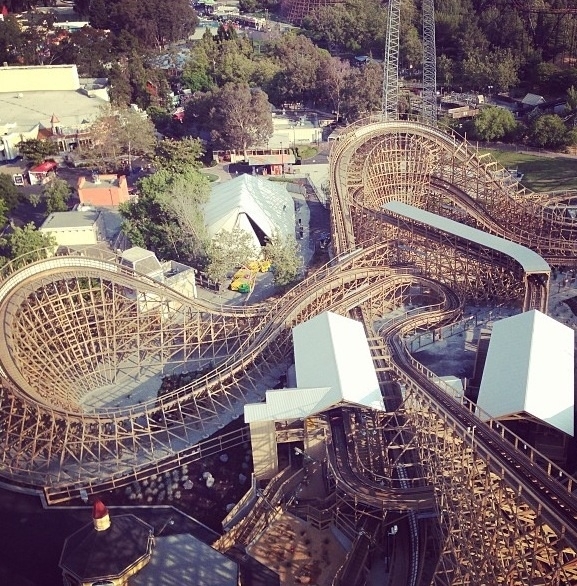 Gold Striker recently closed due to exceeding its noise limitations that had been set. 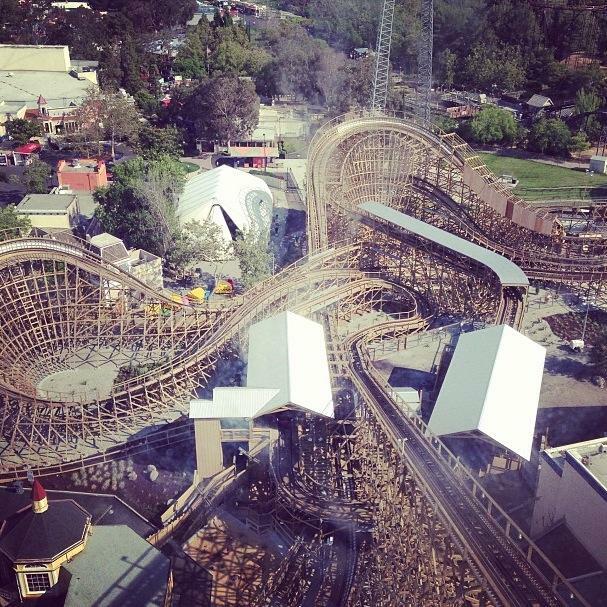 Last month, Gold Striker was undergoing noise tests while it officially opened to the general public. It turns out that the ride was just slightly above the max levels that were agreed to by Cedar Fair, the City of Santa Clara, and Prudential. To remedy the issue (which actually was not from the coaster itself, but its highly thrilled riders) was to fully enclose the track coming out of the first turn around. Gold Striker will now feature a second 'descent tunnel' exiting the first turnaround (after station flyby element). CGA is making a lot of headway on the tunnel construction. This photo was taken by a park guest on 7/2/13. the frame work just beginning to rise in the upper right. According to news reports, park officials are hopeful to have Gold Striker running again by July 4th. This coming weekend could be a pretty big holiday weekend for the park. Having the new star attraction dormant during this time would be a huge blow to the park. Prudential needs to know WE were there FIRST. yes, i know we had an agreement. but one has to understand, if you build your buildings by an established park there is bound to be noise. its a well known fact.